These days, every desktop, laptop and notepad comes pre-loaded with dozens of different font choices. For the inexperienced eye, it can be a bit overwhelming. But people like you are the type (pun intended) who know exactly what font will fit. 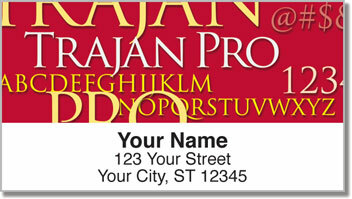 Whether you're a graphic designer, a trained typographist or a genuine font nerd, you'll love Pick a Font Address Labels available exclusively from CheckAdvantage! 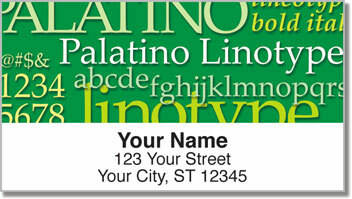 Use these handy labels to save time preparing outgoing mail by sticking them on every envelope. 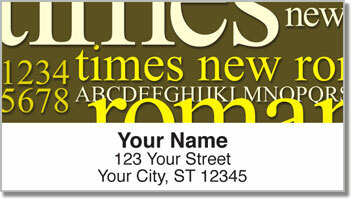 Plus, you can even pick a custom font when you order! 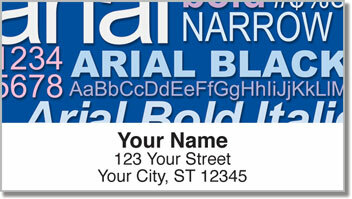 Get your very own Pick a Font Address Labels today! This unique selection can also be ordered as a set of matching checks!